Hello! I am excited to share a book *I love*. 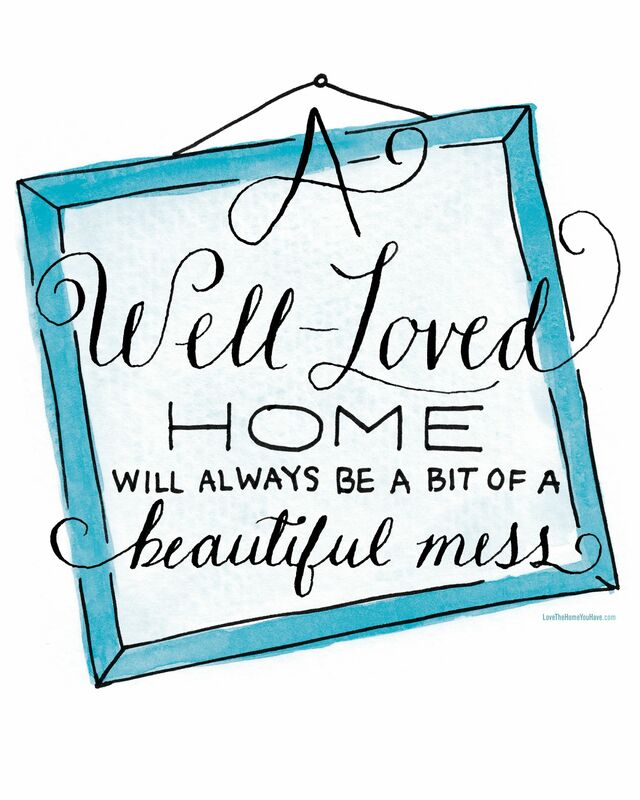 It is called Love the Home You Have by the wonderful Melissa Michaels of the Inspired Room. I have read LOTS of home books and wondered how much more there is to say? But I looked forward to reading this every night and felt like I got LOTS of new ideas and helped calm my disappointment with my never ending home to do list. and even has a 31 day Love Your Home Challenge where she gives encouraging tasks to help you see your home in a different light. Snip off the top off the caulk with your caulk gun handle, then I like to tape off where I want the caulk line to go. Remove the tape, and there you go! It honestly took me an hour to do the whole countertop. Why do I let projects like this overwhelm me and then be put off again and again?? It felt so good to just do it. you can see what other bloggers are doing for their “love their home challenge” that will hopefully motivate and inspire! I need to re-caulk this area too. I keep putting it off. You tile is gorgeous! That's a great project! I need to do that too soon, yours looks lovely now! Thank you so much for being a part of the challenges, I'm honored to have you! I'm looking forward to reading her book soon. Thanks for sharing the caulking tip. It looks good!